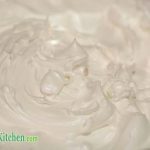 Home » Recipes » Keto Pavlova Sugar Free Meringue Dessert – Deliciously Sweet and Tasty! 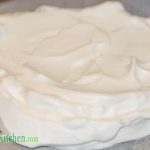 Our Sugar-Free Keto Pavlova recipe is very light and delicate when compared to the traditional version. 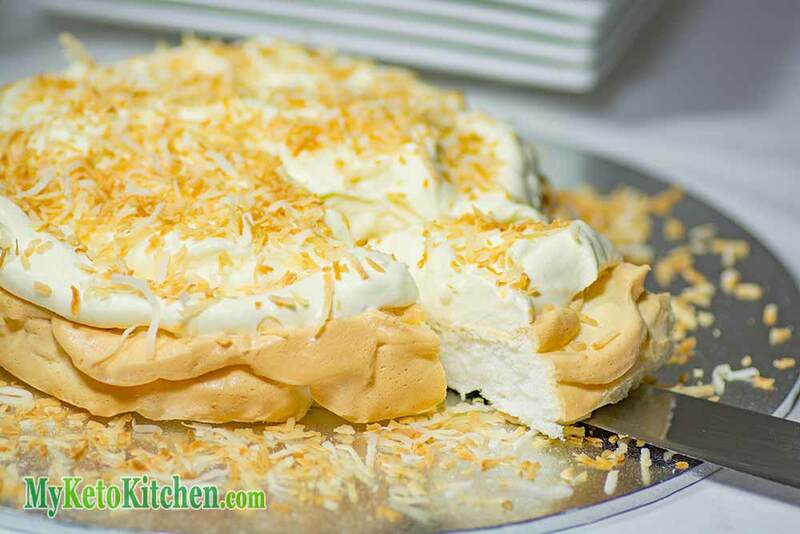 This Keto Pavlova has a crisp outside and a soft marshmallow-like meringue inside. 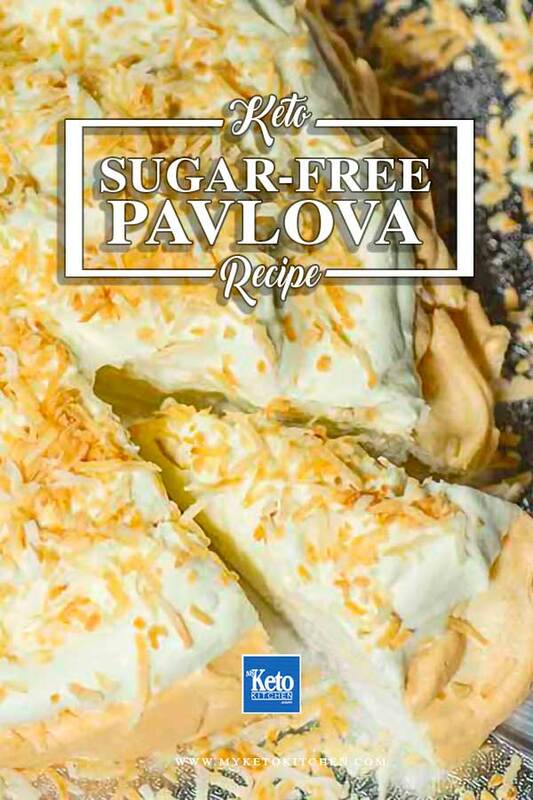 We like our sugar free pavlova topped with toasted coconut, but you’re welcome to add anything you like. We recommend making your Keto Pavlova on the day that you wish to eat it. If left over night the pavlova will soften (you can still eat it though). Don’t worry, though, 20 minutes at 100C/210F will firm it up if it does soften. Our recipe makes 12 serves, the nutritional information for 1 serve is reflected in the recipe notes. 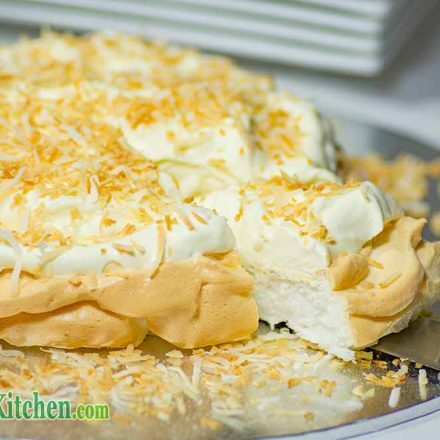 Try serving it with our Low Carb Chocolate Ice Cream or Dairy-free Coconut Ice Cream. Place egg whites into a stand mixer and whisk on high until they are foamy. Using a stand mixer is great as it keeps your hands free to add ingredients and scrape down the bowl. We use and highly recommend this one. 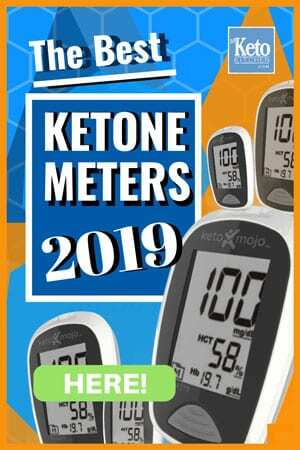 Can a t1d person go on the Keto diet? Your question is best directed to your healthcare professional, we do not provide medical advice.